Codename: "Cocol - Undercover for God Tells the inspiring and often very funny story of that “master of disguises” - Blessed Miguel Augustin Pro, SJ! 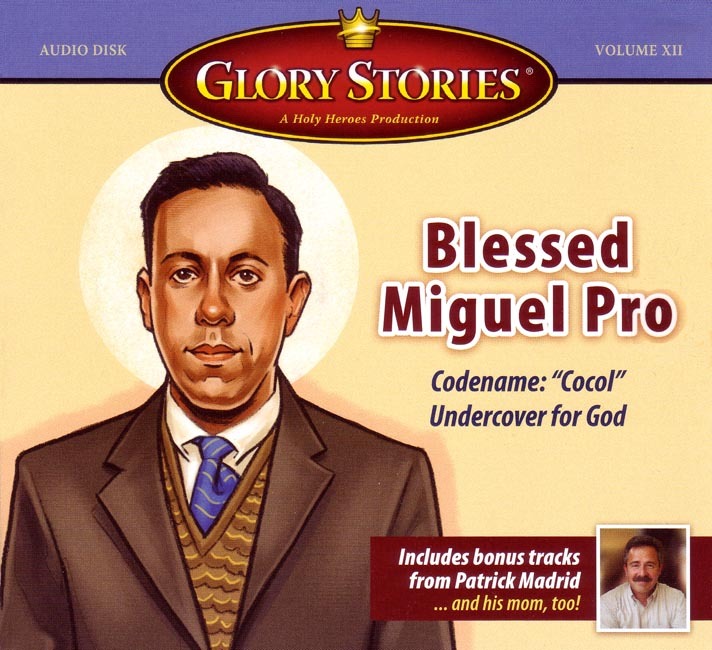 One of several Bonus tracks provides the background of the time in which Blessed Miguel Pro lived and more daring stories of his ministry. Children will be inspired by the courage of this “undercover priest,” and they'll learn how to be joyful in the face of persecution and personal difficulties, to trust in God even when things don't seem to make much sense, how service to others often requires courage – and even imagination, what “cocol” means – and why this priest used it as his secret call sign, and much more! This is a story children will want to listen to over and over again.